Welcome to Cub Scout Pack 3! We are Cub Scout Pack 3, from Somerville, Massachusetts! We welcome all kids (boys and girls) and their families, and we have a huge amount of fun! 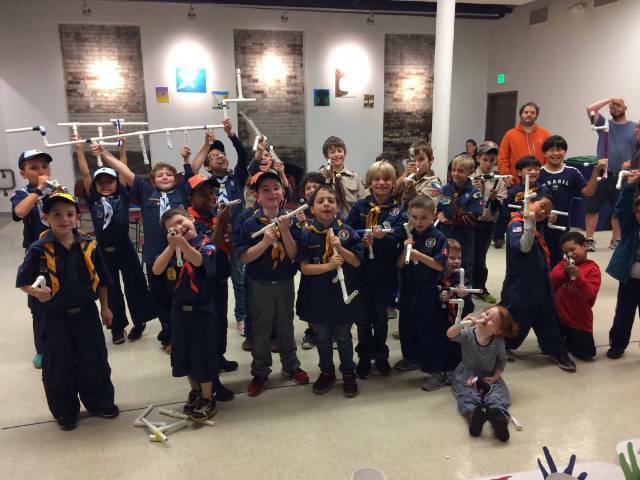 Cub Scout age is kindergarten through fifth grade; older kids join Scouts BSA. New joiners are welcome anytime--come check out one of our meetings or outings, and see why our kids love being Cub Scouts. Contact us for more info. Pack 3's annual Pinewood Derby will be held Saturday morning, March 16. The fun starts at 9 AM! Don't forget, scouts will need to bring their cars Friday night, March 15--check-in/weigh-in will be by den, final schedule TBA. We'll have the whole "pit crew" on hand Friday night to attach the wheels and make sure every car meets the official weight requirements. That way we can get started on-time Saturday morning. This weekend is our rescheduled Potluck / Campfire / (optional) Campout at Camp Forty Acres. Also Sunday is the Veterans' Day Parade and Ceremony. And for interested adults: University of Scouting Saturday morning. Don't forget to RSVP TODAY for our pack meeting in the woods, this coming Saturday October 27! Pay your registration/dues for 2018-19 now! It's time for another year of Cub Scouting, and that means (you guessed it) it's also time to pay dues and registration fees. We've made it easy for you: CLICK HERE TO PAY DUES ONLINE More info below!